“Pleasure is spread through the earth in stray gifts,” said Wordsworth, and he was right – but here at the Office of the Public Guardian (OPG) it’s a bit more complicated than that. 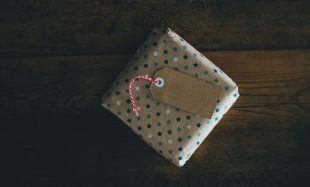 We’ve just published our guide to gift-giving for deputies and attorneys and, while it might not quite be the gift they were waiting for all year, we hope it will help to clear up one of the most fraught areas for people fulfilling those roles. A bit like a long-promised present, the guide has certainly been in the works for a while. The message about gift-giving – that it’s OK to give gifts, but there are strict limits on what you can give, to whom and when – is one that OPG’s chief executive, Alan Eccles, wanted to get absolutely right, and it’s taken us a while to hone it. The dilemma about giving presents as a deputy or attorney is this: gift-giving, as anthropologists point out, is a powerful social glue. So, if you’re making financial decisions for someone else (who may or may not have mental capacity – the ability to make their own decisions) giving gifts on their behalf can be an important way of preserving crucial relationships with family and friends. On the other hand, someone else’s money can prove pretty tempting. As various court cases have shown, it’s easy to confuse – or worse – money or property belonging to a client or donor (the terms we use for the person a deputy or attorney is making decisions for) with your own. One recent case comes to mind where the deputies of a woman with dementia awarded themselves, ahem, ‘gifts’ from her sizeable estate including a Rolex watch, a £16,000 ring, an Alexander McQueen handbag and £40,000 in cash. These deputies certainly hadn’t grasped the fundamental point that a client or donor’s money isn’t yours to spend as a deputy or attorney: your role is to make the kinds of financial decisions they would have made themselves if they could or wanted to. The judge in the case above decided that the client wouldn’t normally have been inclined to splurge on designer accessories for her deputies, nor hand out bricks of cash, and so the latter ended up with a £200,000 lesson to learn – the amount they were obliged to pay back. Using plenty of case studies involving such fictional gift-givers and recipients as Patrick, Sanjiv and Hannah, the guide goes on to illustrate OPG’s golden rules of gift-giving. Principle among those is that the person whose money or property it is must be given every opportunity to help decide the who, what and when of gift-giving. If they can’t decide, the deputy or attorney has to step into their shoes and think about the kinds of gifts they would have given. Except that times may have changed – even if the person used to be very generous, you have to ask whether costs of care, for example, mean they can still afford to be now. Gifts, in other words, mustn’t reduce the person’s quality of life (as too many gold Rolexes, for example, will tend to do for most people). And, no matter how generous the person was, you can’t give gifts on their behalf to total strangers: they must go to people or to a charity the person would normally have given to. Telling someone how to give gifts might sound a bit like providing instructions in friendship or love but the evidence suggests it’s needed. It may not be what every deputy or attorney wants in their stocking this Christmas, but we trust our new guide will at least leave more gifts in the right hands. What happens when I can't make decisions for myself?